WNCF sports director/anchor Adam Bagni will not be re-signing, despite being offered a contract extension from the Montgomery ABC affiliate. In a staff email obtained by Montgomery TV and Radio, a local blog, Bagni says it’s not a decision he took lightly, but added the decision was in his best interest. “As great as everyone has been to be in Montgomery, I just feel like it’s time to move on. I’ve accomplished pretty much everything I can at ABC 32 – two national championships, sports director, awards – I just feel like it’s time to fully devote myself to what’s next,” he said. At this time, he is not sure where he will end up next. “It’s always a bit scary when you don’t know what your future holds, but it’s time to close this chapter of my life and move on to what’s next,” Bagni said. 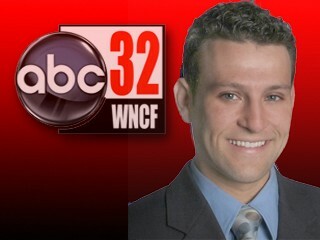 Bagni had been with ABC 32 since February 2008. Though he’s leaving, he says he’s not leaving the business. Stay tuned.